1. 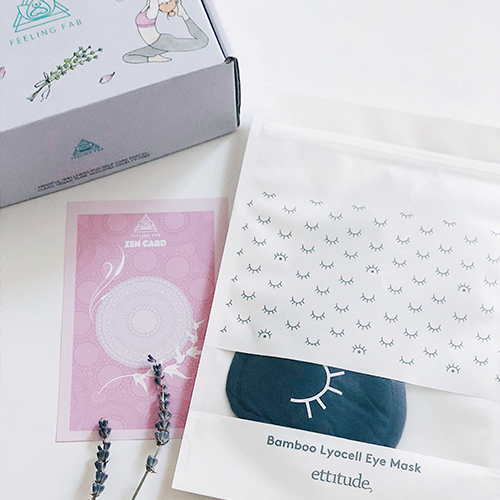 Five More Minutes Eye Mask by ETTITUDE ($18): Quiet your mind and relax your body with our luxurious 100% Organic Bamboo Lyocell eye mask. This incredibly soft and lightly cushioned mask sits softly against your face to block out light. Perfect for deep relaxation, savasana or meditation. 2. 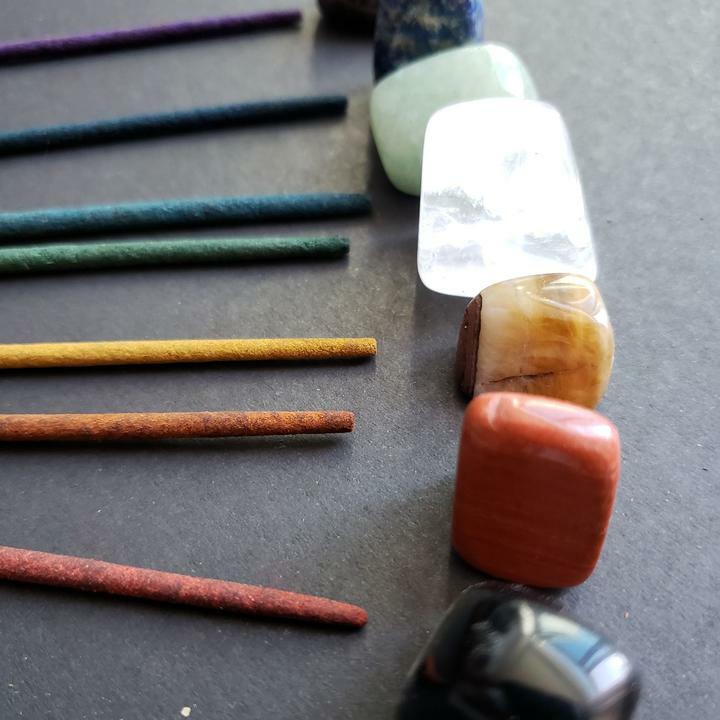 STAY LIT Meditation Sticks by REVERSE KARMA ($8.99): These incenses are made with sandalwood and dipped into an all-natural fruit dye. T chemical free and all natural, burning time averages about 45-60 minutes. The colors represent the Chakras, and the customers are encouraged to meditate on one per day for a week, focusing on clearing that specific Chakra. 3. Pure Rose Infused Oil Cleanser + Cotton Washcloth OLIO BEAUTY ($11): Facial cleansing is an essential first step to any healthy skincare routine - make it count. This gentle Rose-infused cleansing oil that leaves your face clean, soft, and well moisturized while delivering a radiant boost to your skin complexion. 4. Warrior Chick Toe Talk Sports Socks ($12): These high-quality socks are for women who embody the mind and body connection. The silicone grip provides a non-slip surface on or off the mat. Perfect for yoga, Pilates, barre, and dance! FEELING FAB MOOD TRACKER and a Coloring Pencil Set ($5): FEELING FAB MOOD TRACKER and a Coloring Pencil Set ($5) Tracking your mood is an amazing way to keep your emotions in check. We developed this mood tracker to help you keep tabs on your emotional health. 6. FEELING FAB ZEN CARD: a beautiful affirmation card created and designed for our FAB TRIBE community.